No glorious and wonderful before the sun Breakfast Run this time, but rather a Happy Hour Run! We were looking to hit Miyake after a quick 5k Friday night run, but the 30 minute seating wait scared us off. Around the corner and up a couple blocks was Bonobo which we had meant to hit for several years ever since one of our oldest son’s friend had been fired from there (that’s another story). For the last few years, the Portland pizza scene has been dominated by Otto Pizza after taking the throne from the Flatbread Pizza. 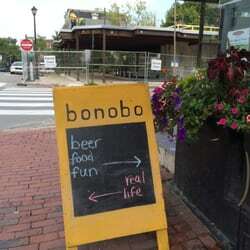 Walk into Bonobo and it has a simple atmosphere with the sophisticated West End crowd. 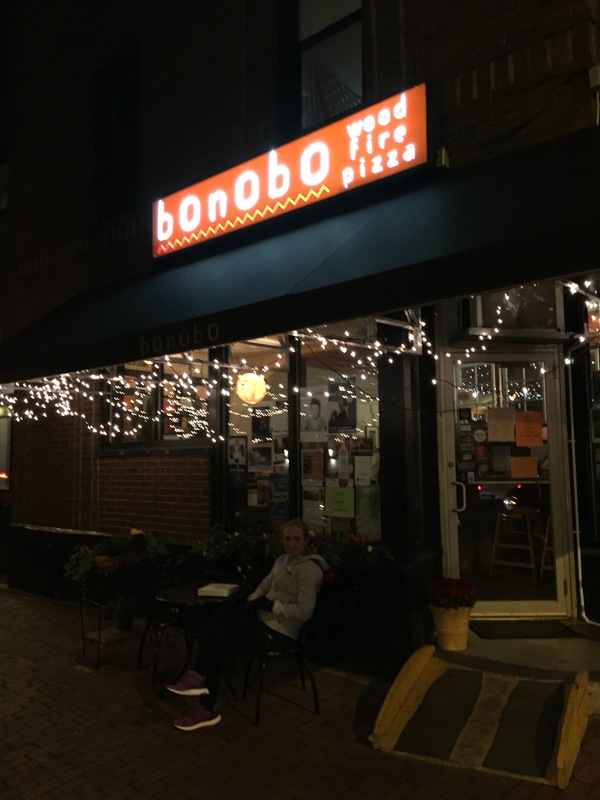 I was sold on Bonobo after seeing the simple menu of a couple of salad offerings with a wide-array of beautiful “around 13 inch” pizza offerings. Luckily the Bonobo servers were glad to provide that option along with a nice array of red and white wines and some nice draft options. I initially went for the “Not Your Father’s Rootbeer” which was a change, but too sweet for this Jameson palate. 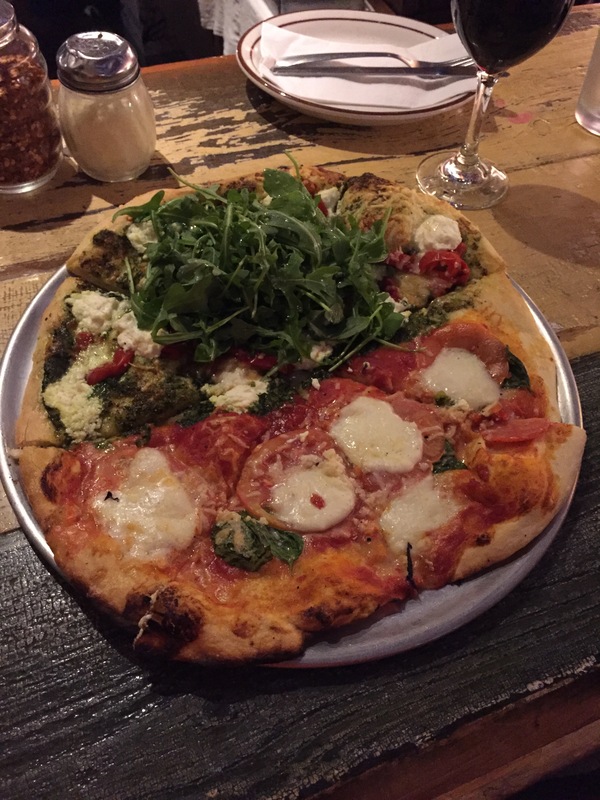 In all, Bonobo had great pizza, great service, and a great atmosphere. The brick oven provided some welcome warmth after a quick evening run, and the cliental were some great folks from Portland’s West End.